Robyn's running a preschool and I'm teaching kindergarten. So, between the two of us doing that, wading though the knee high piles of laundry, and making dinner (at least occasionally), the blog is a bit behind things. Sorry! I hope you've still had plenty to read! Ha, of course you have! 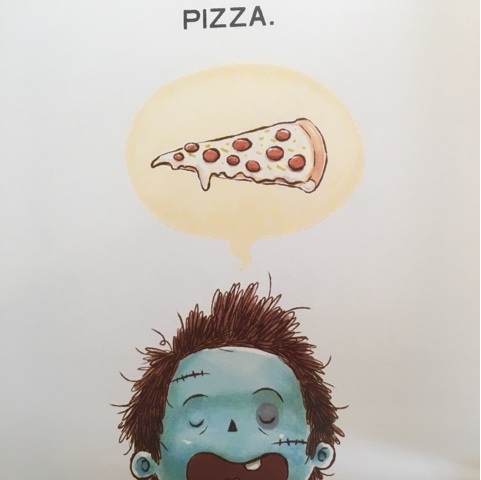 But, I do have a cute book and it's sort of perfect for October-- although, I don't think monsters or zombies really seem to have a 'season' these days, do you? They're always an option, right? 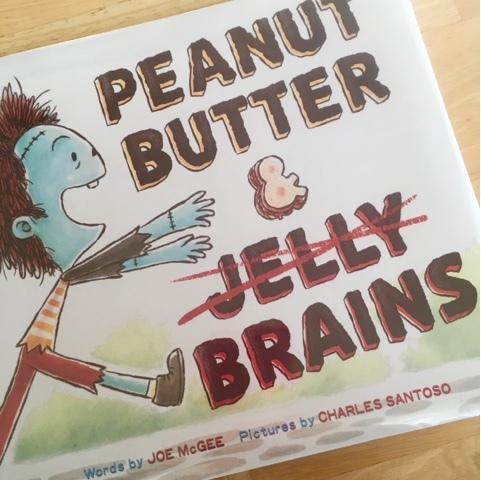 Reginald is zombie, but instead of brains, he's all about peanut butter and jelly sandwiches. Pretty clever, yes? I love how it's a completely kid friendly zombie story! 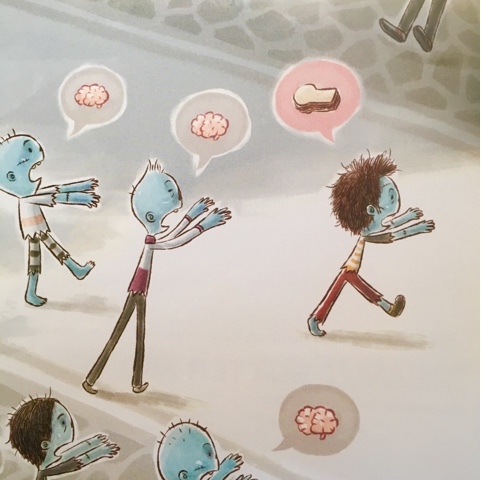 Anyway, it turns out when you're a zombie PB&J is pretty hard to come by, you know with people always running away from you in fear. It's tough! Anyway, the other teacher is moving to 3rd grade and he wasn't gonna take his Pete the Cat border because he thought 3rd graders might be too old for Pete the Cat...? So, then I go into this whole spiel about how no one is too old for Pete the Cat and picture books completely have a place in 3rd grade and just because other teachers aren't doing that in our school doesn't mean he should think 3rd graders are beyond it and lots of picture book content is to meaty and wordy for younger kids anyway and....and...and, you get the drift. Poor guy, I'm sure I scared the wits out of him. So, after the rant ended, he commented that maybe he's just out of touch a bit since he's been in kindy. Which got me to thinking, maybe I'm out of touch too. Did I steer him off course? Are kids gonna laugh in his face when he pulls out a picture book in 3rd grade? I mean most of Chris Van Allsburg's stuff would work. Also, how about Patricia Polacco? And then think about tall tales, legends, and (hello!) all sorts of fairy tales and fractured fairy tales!! Plus, what about all the complete awesomeness that is picture book non-fiction?? That cannot be over just because kids are headed toward double digits...can it? Have I gone mad, or do you agree with me? Please let me know so I can either (a) apologize to my colleague or (b) hook him up with a fantastic book list for next year! 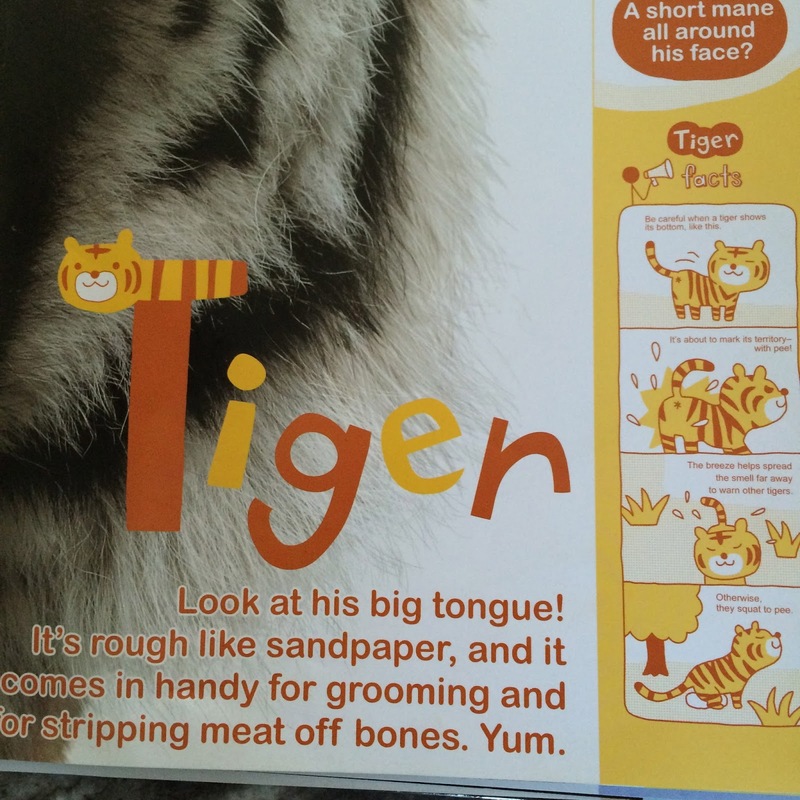 It's such a cool book! Life size pictures means life size pictures! It's filled with all kinds of fun and hilarious facts (like those ones about tigers pictured above). 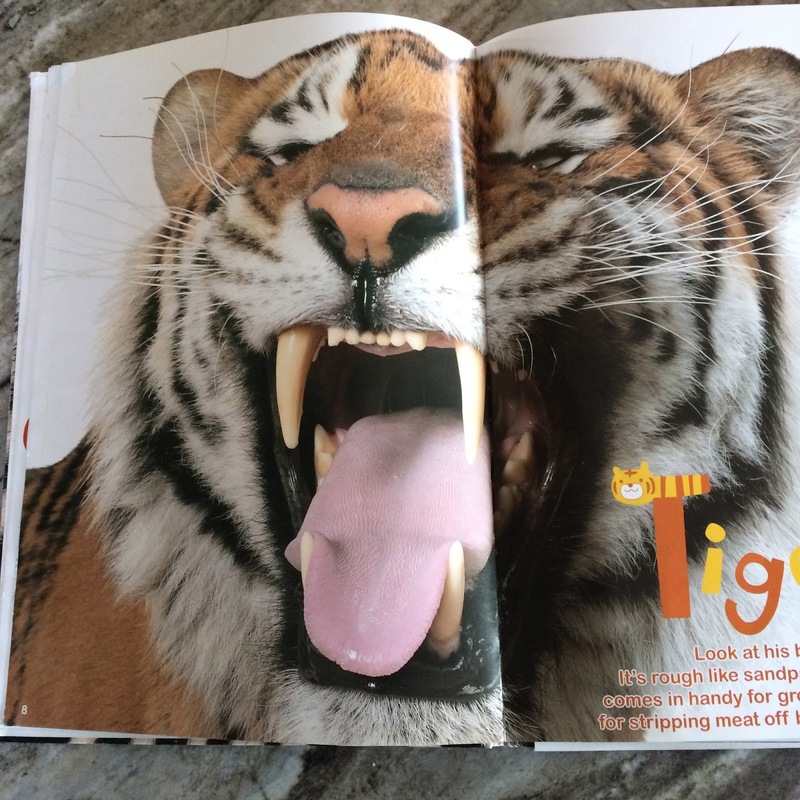 All kinds of animals are featured including fold out pages for the really big ones (like elephant and rhino). I'm a total sucker for excellent non-fiction (always have been). 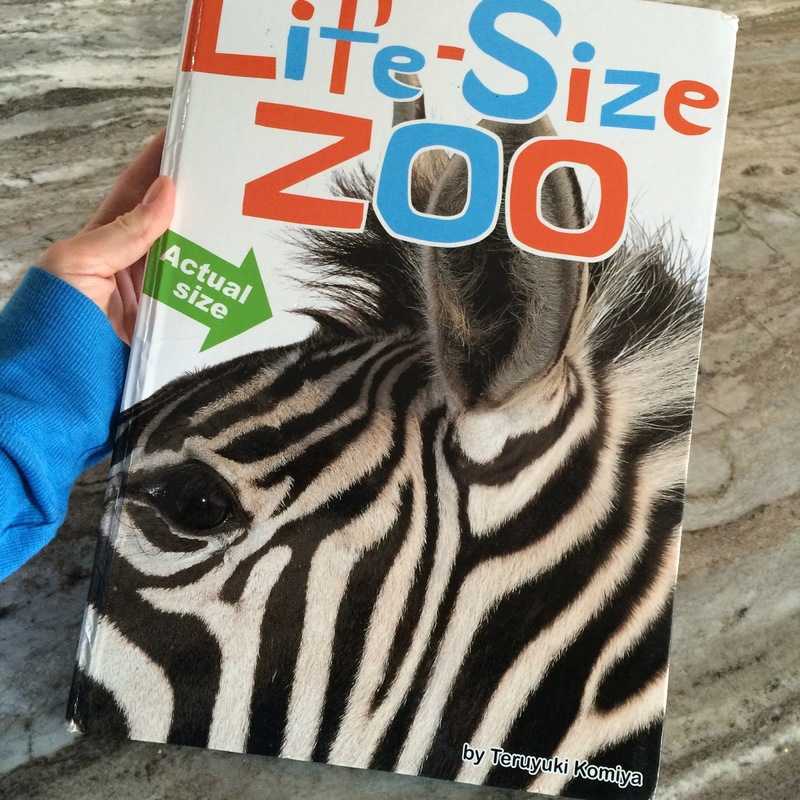 This is excellent non-fiction! Find yourself a copy. You won't regret it! Anybody out there?? Wanna join me for StoryBots? Anyway, this fall found both Robyn and I back in the classroom. She is running a preschool (luckiest person on EARTH!! ) and I spent the first quarter of the school year in 1st grade creating a new generation of Mo Willems' addicts!! I do what I can for TEAM MO! But, I am terribly sorry to report that you never got to hear about all the cool stuff we've been doing! I mean, the number of fantastic books I have read since I last posted…really it's such a shame! 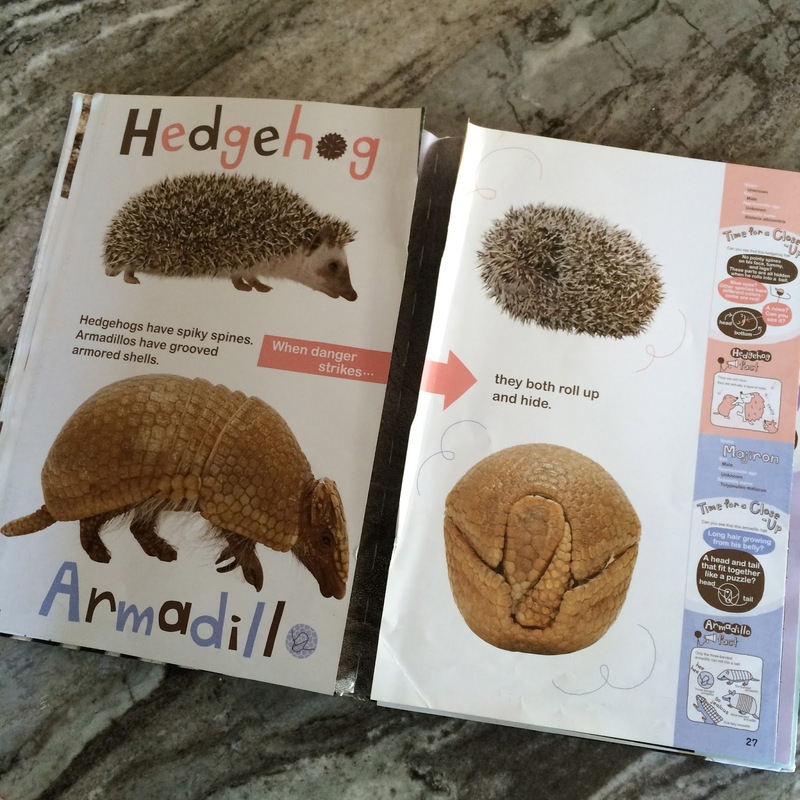 I did learn about something fun and wonderful though from Cuteness' teacher-- how about I tell you about it right now?? Have ya heard about StoryBots? It's these adorable singing robots! I've watched a handful of the youtube videos in Cuteness' classroom, the one below being my MOST FAVORITE!! I seriously sing the chorus every time one of my kids gets mad now! So cute and catchy!! Since Cuteness is also a fan (HA! these animated videos aren't just for parents, kids like them too!! Oh boy…) I downloaded the learning videos app for her! (It's free!) Oh my gosh she has gotten A LOT of mileage out of that thing!! Her personal fave? It's this little gem. Planets that rap-- you can't go wrong with that people. But besides planets and emotions, the bots are into singing about shapes, letters, numbers, DINOSAURS!! There are even classic children songs with a roboty twist! There's something for everyone--seriously, they have a software engineer song! (I'm telling you, something for everyone!) And apparently there are more apps and games and a whole StoryBot universe of things that I didn't even know about…Yay!